I wanted peppermint chocolate bark recently. The only trouble is, it's seasonal. The ones in the store are long gone and I wasn't going to wait a whole year to satisfy my craving. And that's when I realized we had everything to make peppermint chocolate bark in the cabinet. So I decided to make it. 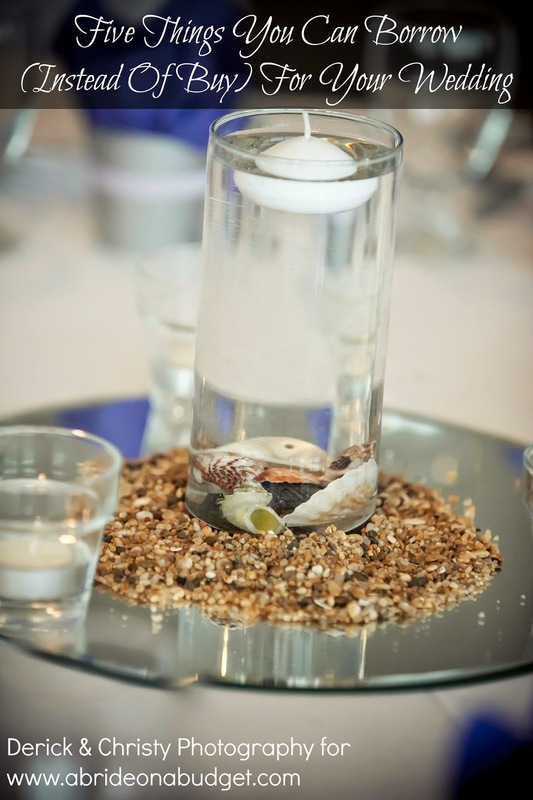 And while I was, I realized what a simple, perfect, and delicious wedding favor this would make. Edible favors are the best. But an edible favor that your guests can only get seasonally, well, that's even better. My recipe fit perfectly in an 8x8 pan and made a thick bark. It's a solid half inch thick. I liked it that way, but Pete would have preferred it a little thinner. If you like a thinner chocolate bark, just use half of these ingredients per batch. Break up the candy canes. The easiest way I've found is to put the candy cane pieces in a plastic bag, then smash with a rolling pin. Yes, smash, like a hammer, then roll like a rolling pin. Over and over. 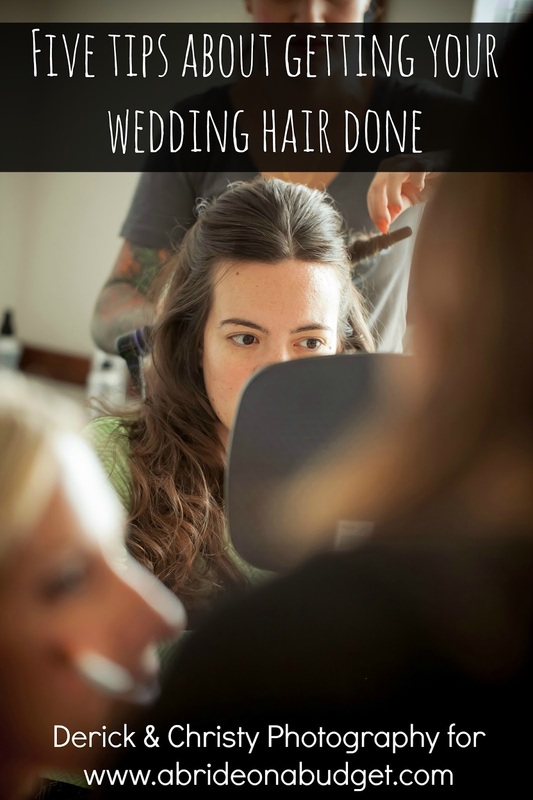 It's a great way to get out any wedding planning frustration you might have pent up. You'll want them to be a little hearty and not completely pulverized into a powder. Put those off to the side for now. If you want to completely skip this step, you can purchase peppermint crunch. It's basically bottled broken up candy canes. Microwave your milk chips (in a microwave-safe bowl!) until they are smooth. I put mine in for a minute on high, then stirred until it was creamy. Microwave power varies, so you'll want to check yours after 30 seconds or so. You don't want to burn the chocolate. No one wants to eat that. Pour the chocolate into a foil-lined 8x8 baking pan. You can smooth it around with the back of a spoon or an icing spatula to make sure it's even all around. But don't worry about how the top of this looks. No one will ever see it. Put it in the fridge to chill, at least ten minutes, until the chocolate is pretty solid. When that's ready, microwave the white chocolate and stir until it's smooth. Fold in the candy cane chunks (which is a fancy way of saying, "Pour them in and stir."). Pour the white chocolate/candy cane mixture on top the milk chocolate. ... you'll try to cut these into squares and the white chocolate will have melted the milk chocolate, and it will not have had time to harden again. Once this is ready, cut it into squares. I did two-inch squares, so you end up with 16 per batch. If you reduce them just a little bit and go with 1.5-inch(ish) squares, you'll get 25 per batch. I wouldn't make them any smaller than that, personally. Sure, one-inch squares will get you 32 per batch, but those are just too tiny in my opinion. You can tie three up with bakers twine and set these out on paper doilies on each place setting, if it's indoors and air conditioned. But, to save your sanity, you're probably better off stacking them in small plastic treat bags and tying them at the top with the twine. You can include a small thank you tag with them too. BRIDAL BABBLE: Would you make these peppermint chocolate bark favors? 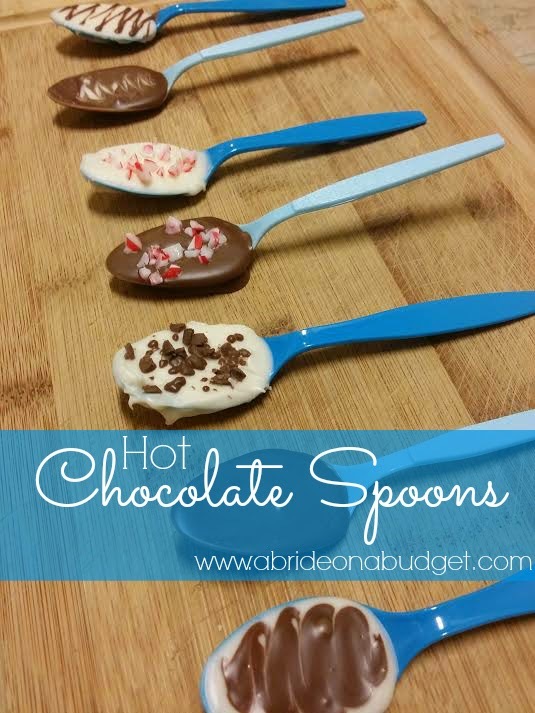 Check out our Hot Chocolate Spoons Favor Idea post. My husband would go crazy for this. Cannot wait to try it! Be sure to let me know if you try it Ellen. I bet he would love it. It's a big hit around here! I love peppermint Bark! I have been making it since Christmas and as soon as we are out I just make more! I love having it around as something to munch on! Pinned for sure! That sounds like an excellent plan, Gabby. When I run out, I'm coming over haha. Do you make it with any other flavors? Don't you hate when you crave something, only to know that it's long gone from the stores! I do that a lot with eggnog and pumpkin spice goodies. Eggnog homemade isn't something I've ever been able to nail and sometimes I want pumpkin spice cookie butter, and that's a no go homemade too. However, you lucked out in your craving! I love peppermint bark, and yours looks delish! Thanks for linking up with us this week at the Wednesday Showcase Party! Yes Joanna! It's the worst! That's awful that you can't make your eggnog or pumpkin spice cookie butter at home. You could always buy a second freezer for your favorite goodies so you could thaw them out year round haha. It just wouldn't be the same though, would it? Oh, I have to make this for my son for his birthday! He loves peppermint candy and I know he would love this. I will be pinning this for a reminder. Happy upcoming birthday to your son Kathleen. Be sure to let me know what he thinks of it after you make it. The boys bought a 'few' bags of this stuff at the store after Christmas and were lamenting that they'd eaten almost all of it. I'm all about the chocolate, so this is in my list of things to make soon. Haha, I understand your boys' pain ;] They will love you forever it you make this (at least, if my husband's love for me after this is any indication haha). This looks amazing and it is something I can easily to with my kids! Can't wait to try it this weekend! Yes! Your kids will have so much fun with it, especially since they can do every step! I love bark, especially peppermint! I have a board on Pinterest named Loving the Bark and this is pinned on it now. I will definitely make it! Aww AnnMarie. 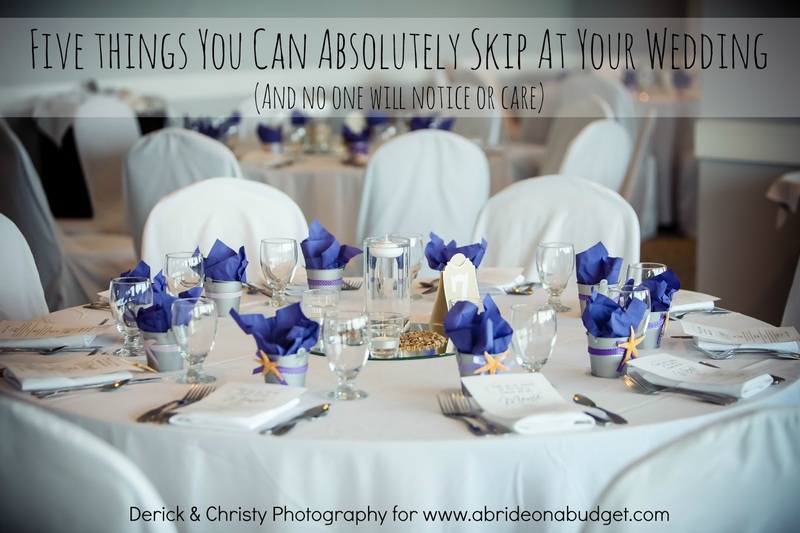 Thank you for sharing my post on your board! It's nice to find other bark lovers =] What kind is your favorite? Yum! I love peppermint bark, I need to try this!! Morgan, definitely let me know if you do and how it turns out! 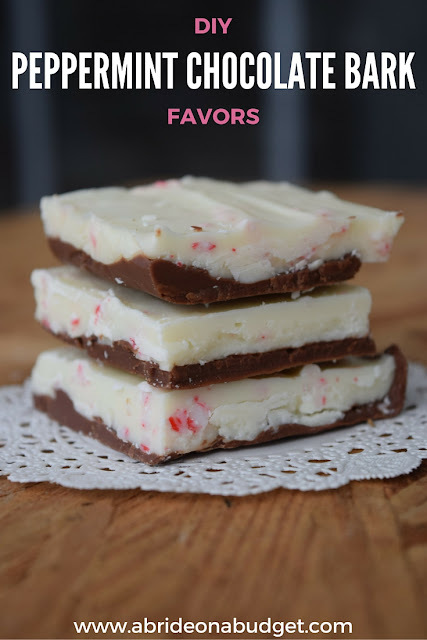 Chocolate peppermint bark is one of my favorite sweets! These look delicious. Oh Cassie, you'll have to try this then for sure! oh this looks so good !!! I love the flavor of chocolate and peppermint together. This would make a sweet Valentine's present for the hubby !!! Thanks for sharing. Be sure to let me know if you make it. I'm sure he would love it! Yum I love peppermint bark, it's been a while since I've made any. I like that idea of putting chocolate in a spoon. I have a hot chocolate spoon that is basically chocolate bark on a spoon. Yum! This type of cookie always attracts my attention. Thanks. Love this! Thanks for sharing at Friday Frenzy Link Party! PINNED! This looks so good, I'm pinning it to my holiday recipe board! Thanks for sharing at Friday Frenzy this week!! Looks delicious! Thanks for sharing at Sew It Cook It Craft It. Merry Christmas! I'm drooling over this Peppermint Bark. I'm Pinning this recipe. Thanks for sharing on Sunday's Best.